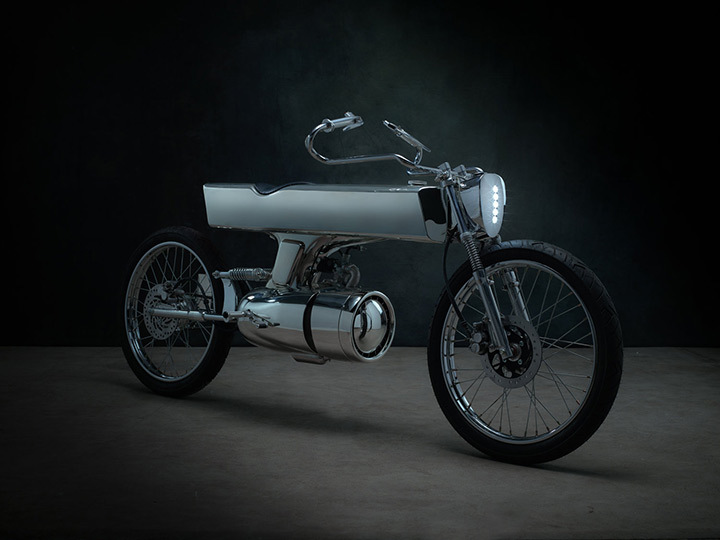 Inspired by Star Trek the Bandit9 has designed a unique Sci-Fi themed motorcycle that unusual as usual !! 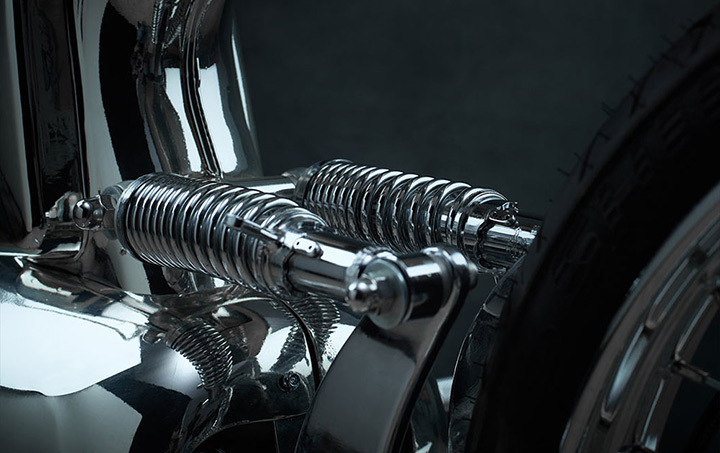 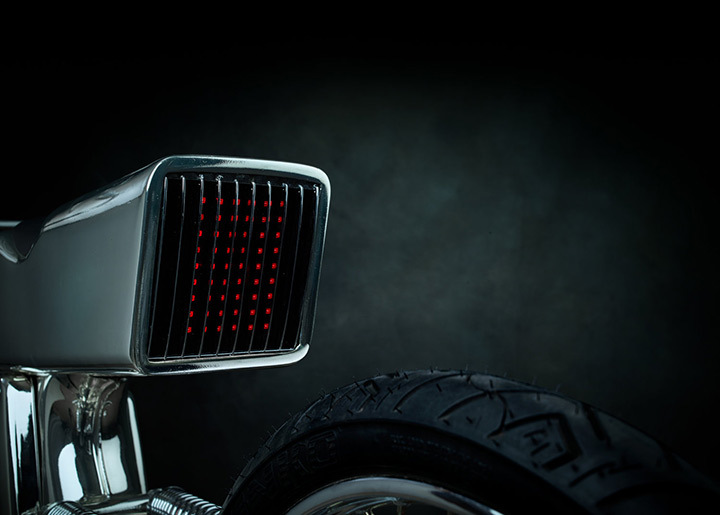 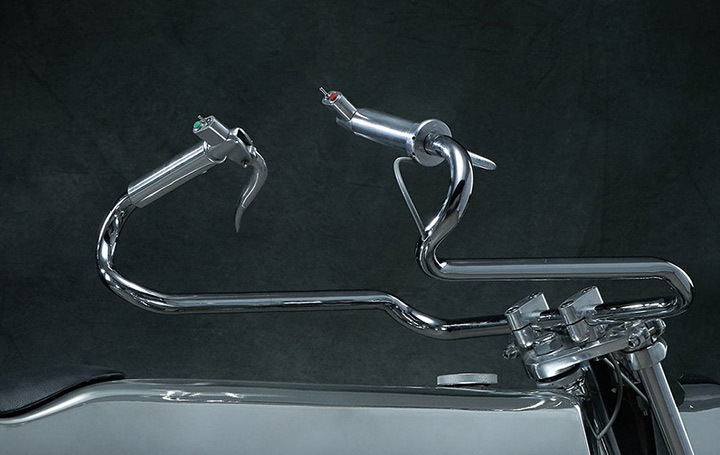 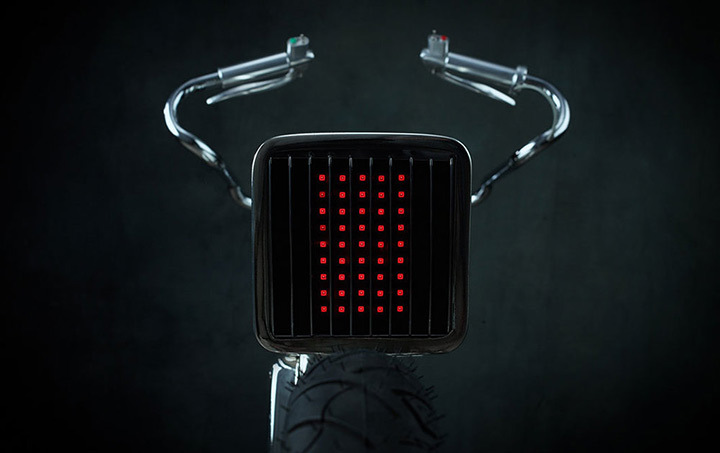 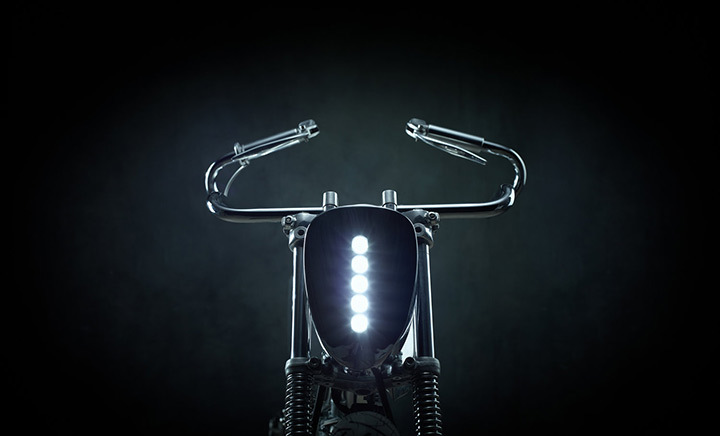 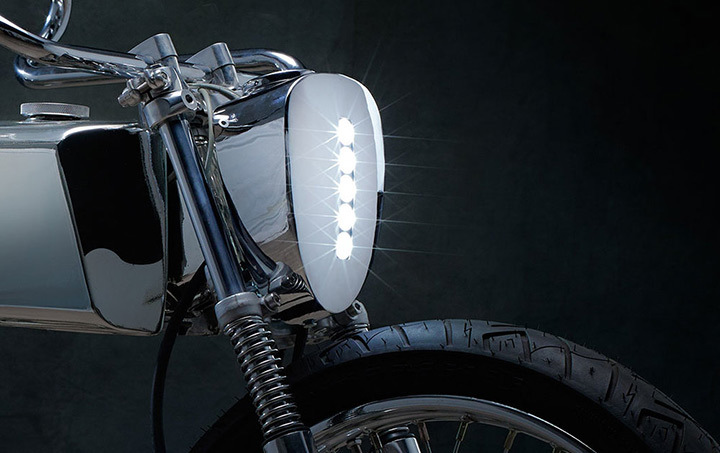 The L-Concept boasts a unibody construction that integrates the cowl, gas tank, and seat in a single uninterrupted foam along with unique handmade Scout Handlebars. 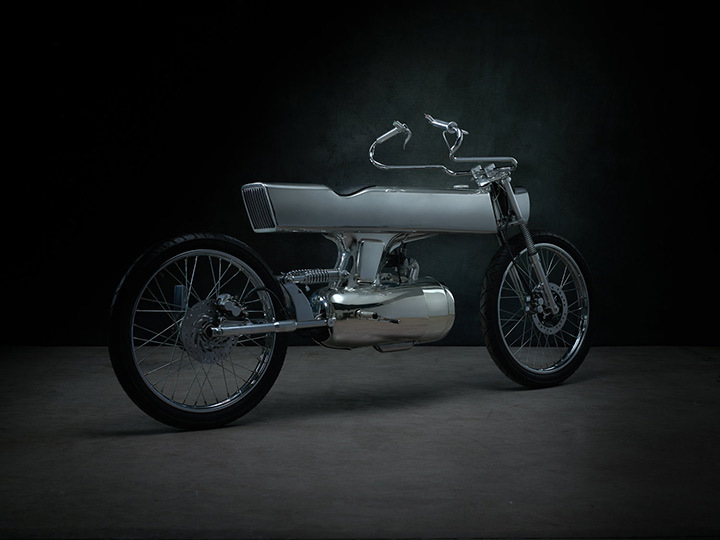 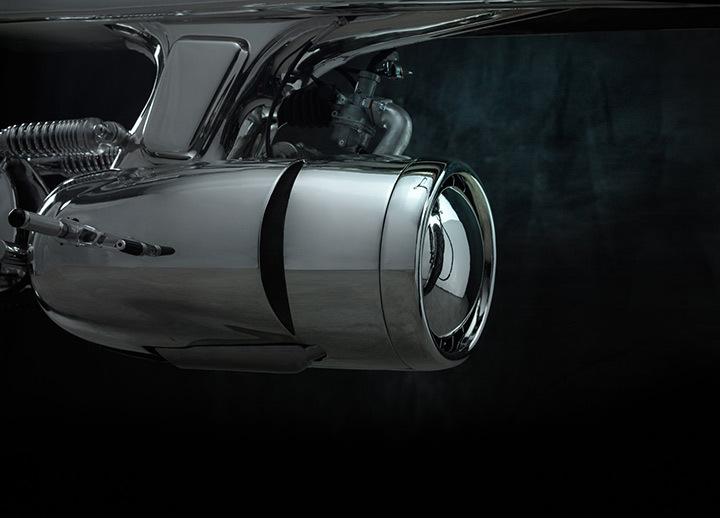 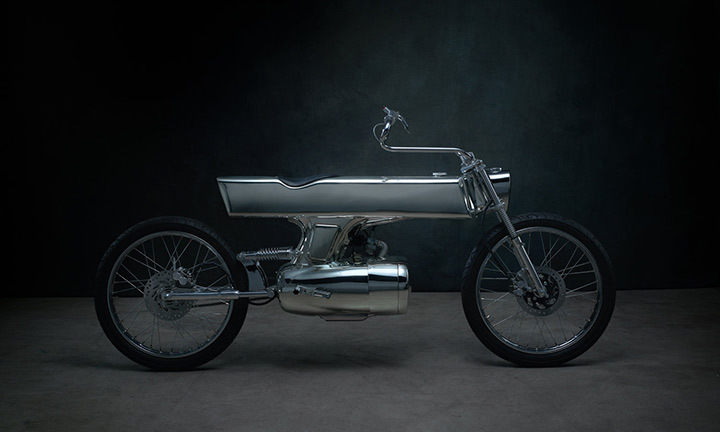 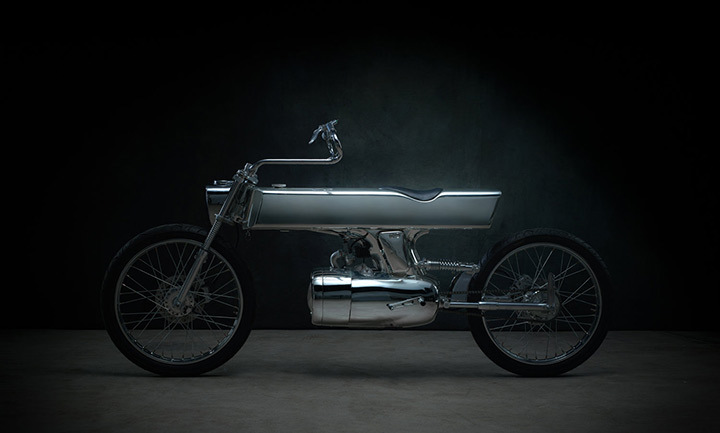 Each L-concept motorcycle is priced at $10950 and only 9 of these masterpieces are said to be produced.